Here at the School of Permaculture we offer a 72 hour, internationally recognized Permaculture Design Course, tailored after the book “A Designer’s Manual” by Bill Mollison. We do it a little bit differently around these parts, though. Don’t worry, we still cover all the required topics to set you on your introductory path to permaculture and permaculture design. And we assist you in creating a permaculture design project (this is required from all students in order to receive certification). So how are we different? Instead of blasting you for 2 weeks straight with an entire textbook of information, we give you the information over a 6 month period – so in smaller micro-blasts. Community growth – The people you are in class with become friends, neighbors, encouragers and study partners as you meet for 6 weekends over 6 months. One of the most significant things we regularly hear from our students is how the connections they make with the other students in the class are invaluable. Engaged Learning – It’s also a great time to soak up the information – with more than enough time between sessions to read the book, take in the materials and come back with your questions, we see learning blossom. In addition to the unique schedule, we also focus really hard on making your learning experience great. Our class is mostly theory, taught in the classroom, but as we are able, we will have some outdoor experiences, hands on exercises and tours of permaculture sites. 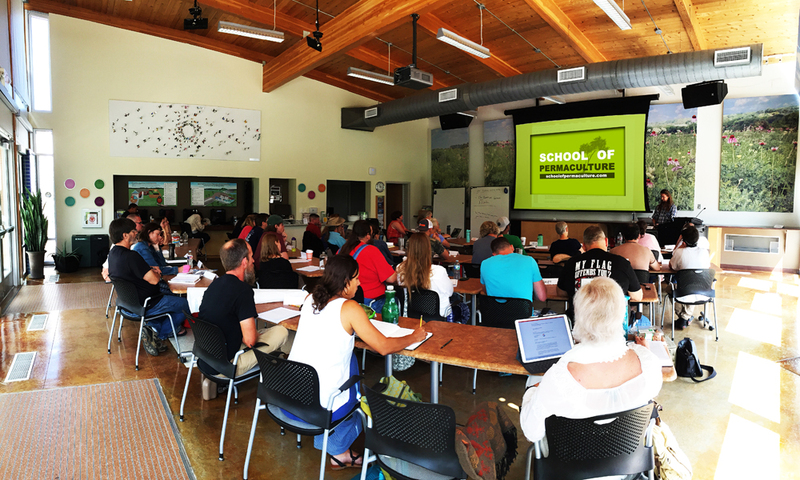 We believe, after teaching many students, that learning theory from the beginning, has been shown to greatly reduce your learning once your jump into the hands on portions of permaculture. We have multiple payment options and we would like to recognize that the early bird gets the worm (or in this case the discount!). Please take advantage of our early bird and couples discounts. Without them full price is $1,200 per ticket. What are the benefits of permaculture? Why take a permaculture design course? What can I do once I take a permaculture design course? What type of people take a PDC? We have had chiropractors, homemakers, homeschooling moms, registered nurses, office administrators, network storage engineers, catastrophe claims adjusters, accountants, bank controllers, doctors, ranchers, teachers, audio technicians, pilots, operations managers, retirees, veterans, customer service professionals, coaches, global business consultants, coders, high schoolers, nutritionists, yoga teachers, farmers, electricians, homesteaders, sales professionals, real estate agents, librarians, geologists, architects, artists, missionaries…you name it – we encourage diversity and Permaculture helps people of all backgrounds find harmony. Course Times: Each course date starts at 9:00 am and ends at 5:00 p.m.
Come when you can, pay when you can – flexibility! If you miss a class one semester, make it up the next semester. We encourage students to finish within a 12 month period. Kids ages 10 – 17, who are mature learners and interested in Permaculture can come for free with a parent or guardian! Please note children must be participants and not distractions to the class, we love to encourage learning for all and know that many children enjoy learning alongside you. Is your child interested in earning a certificate? Email us to make those arrangements. After graduation our students are added to our growing group of graduates and also have special access to their Instructors and our team for continued learning, advising and other, sometimes global, opportunities. We do our best to put our students first! Returning to class – students who graduated from our PDC course are welcome to return to class(es), if there is room. You can take the entire PDC again for half the price or you can come back to one class (one day) for free! Contact us to schedule. Scholarships – our team is open to reviewing scholarship or work trade opportunities if possible, but these opportunities are limited and given at the discretion of leadership. If you have a need for a scholarship or are interested in presenting a work trade opportunity, you must email us directly with your request. Full refunds are available if your cancellation request is received one week prior to the course start date. No refunds will be given after attending first day of the course or for no shows.